The “big check” ceremony with representatives from AEP, Columbia Gas of Ohio, county government, UpGrade Athens County, HAPCAP, the libraries and the libraries’ board of trustees. 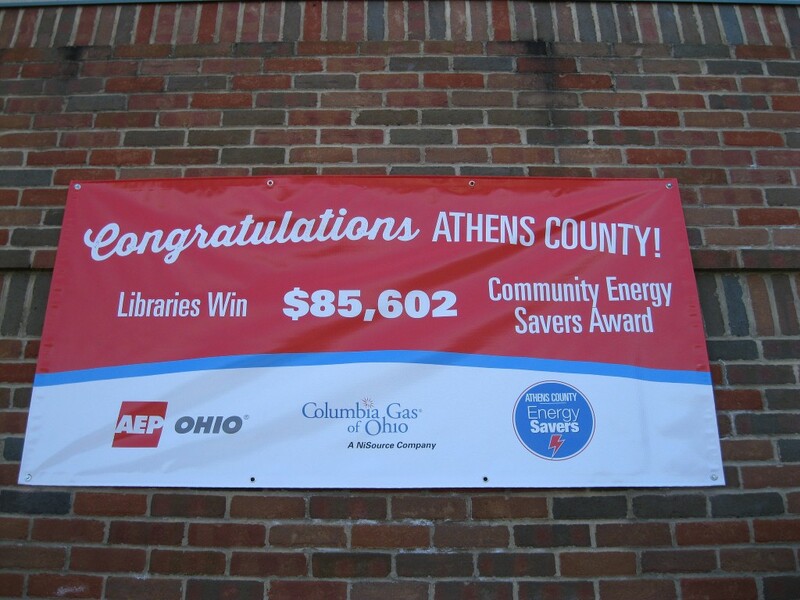 After many months of coordination, collaboration and “boots on the ground” outreach, Athens County surpassed its ambitious goal in a Community Energy Savers challenge, sponsored by AEP and Columbia Gas of Ohio. Volunteer participants in the program earned the county points through various activities assessing personal and business energy use, and that offered tips, resources and incentives to improve energy efficiency. On March 8, 2016, a crowd gathered on a very windy day to celebrate the program’s success. The celebration, held at the Athens branch of the Athens County Public Libraries, was open to the public and included many community partners who helped make the county award a reality. Watch a short video of ceremony highlights here. The libraries are wholeheartedly honored to have been selected by county government officials as the award’s recipient. 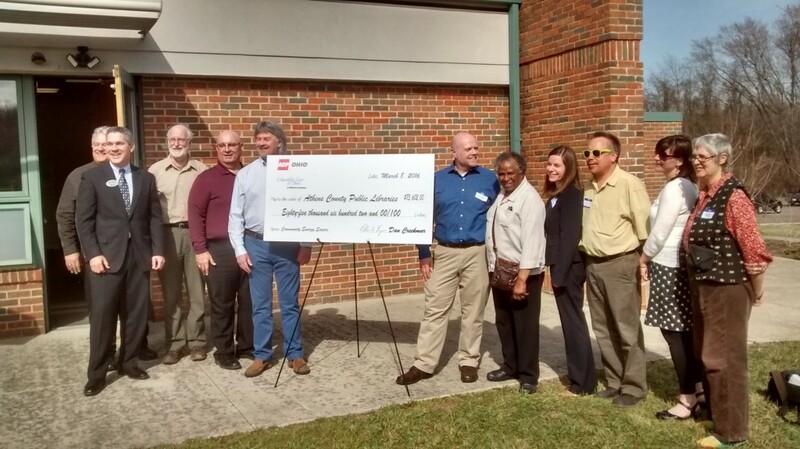 We’re excited to use the generous check below towards ongoing energy upgrades in our buildings! Hear more about our plans in this Public News Service story. Most of all, we want to sing/dance/form a conga line of thank you’s to all the individual patrons, library staff members, Athens County families, government officials, nonprofit communities and businesses who participated in our Community Energy Savers program. We could not have done it without you, and it truly was a county-wide effort!